If you are just getting started as a web designer, or you’ve not yet acquired a great deal of experience, you may be hesitant in selecting website or portfolio-building tools; not knowing how steep the learning curve might be, and not knowing if the tool will do the job. Ease of use is important. Fortunately, ease of use is characteristic of most top-tier website and portfolio-building tools. Top-of-the-line tools are not only typically easy to use; they can make building an awesome website or portfolio a piece of cake. The tools featured here, are powerful in the capabilities they bring with them, and extremely to use. Almost all feature drag and drop functionality, each one is innovative in its own way, and they aren’t loaded down with features you have no need for. Elegance is sometimes described as the perfect combination of power and simplicity. If that is true, these best tools could easily be called “elegant”. Check them out. Pick one you need. You’ll get great performance, and you will experience a definite uptick in productivity along with an early return on your investment. Cornerstone gives you a wonderful opportunity to put the fun back in website design. This innovative editor/page builder was first introduced as a core feature of one of Themeco’s premier WordPress themes. Cornerstone caught on immediately, and Themeco will soon release it as a standalone web building tool that could be used with any WordPress theme. Typically, page building and editing follows a process of create, save, and review. This front end page builder removes the middle step from the process. Its two interactive displays allow you to see your changes as you make them. This shows you immediately how any change you make will affect your layout at that point in time. This eliminates any need of going back to undo a number of steps before trying again. There is much more to Cornerstone than what is presented here. Visit the website to see for yourself what this exceptional tool has to offer, including its extensive element library that is constantly being updated. Check it out today! SnapPages is simple and powerful website builder that anyone can use. It’s a superb choice for building portfolio websites, which need to be especially well structured. This tool is ideal for a web designer looking for an easy way to build websites. It’s a super choice for beginning designs as well. Power and simplicity is a great combination, andSnapPages will not load you down with a host of features (bells and whistles) you have little or no use for. If you do some or all of your design work on a laptop or tablet, the drag and drop editor is optimized fortouchscreens, and cloud hosting translates into quick loading. This is a great tool for bloggers, and for anyone wanting to create portfolio or eCommerce websites. With SnapPages, you can integrate PayPal, Square, or shopify into your website, or connect with social media sites. XPRS by IM Creator is growing, and growing fast. This is not your typical website-building tool. Select from one or more of its 500+ pre-built themes, cut them into strips, and start creating your awesome website. There aren’t many ways to build a website that are quicker and easier. More than one user has likened using XPRS to using Lego blocks; build what you want, and have fun doing it! One of the primary reasons for this website-building tool’s increasing popularity lies in its purchasing plans. These plans range from free – for artists, students, and nonprofit organizations, to the white label plan – a plan designers who serve multiple clients have fallen in love with. This plan offers unlimited licensing, which makes its$250 price tag seem ridiculously small. Whether you choose free or white label plan, or the commercial license plan at $7.95/month, you’ll like what you get. Building a portfolio-type website might appear to require a great deal of effort, Since a portfolio-type website needs to be extremely well structured, building one would appear to require a great deal of effort. TheAllYou.net authors thought otherwise. They created a front end editing tool that when used in conjunction with their customizable templates, makes creating a portfolio website, or any website, a snap. If you visit their website, to find out more about this innovative web-building tool, you’ll be invited to take a free 14-day trial spin. There’s no obligation, and you won’t be asked for a credit card number – that’s an offer too good to ignore. Themify Builder is another website-building tool we were certain belonged in our listing of best tools. Like the others we’ve selected, it is both powerful and ridiculously easy to use. It’s just a matter of drag, drop, and select. You can use Themify Builder with anyWordPress theme, and without having to resort to using a single line of code. Try it, and you’ll keep it once you discover you will be able to see a live, front end preview of your layout, and watch your design come to life while you edit. Themify Builder features, animations, background video, and parallax scrolling, and more. If you are at all curious about what the advantageous of using Divi Builder might be, just ask a DIvi WordPress theme user. Here is another example of an editor/page builder that helped to make its parent theme so popular that it was introduced as a standalone tool. It is powerful, easy to use, and it can be used with any WordPress theme. We suggest you visit the Elegant Themes Divi Builder home page and view the demo. The demo illustrates the ease of use and the power of the functionality that typify this design tool. As its name implies, Portfoliobox is an excellent choice for a portfolio website designer, although it will serve you well for building any other type of website. You can create your website right in your browser, and you are not saddled with having to work from a preset theme. There isn’t one. You are free to use your imagination. Modern and trendy templates are included in the package, along with web hosting and a free domain for the PRO customers, and coding is not required. There is an additional bonus – you can try it out for free! As you browse through this selection, you may have noticed several common threads, namely ease of use, portability, flexibility, and affordability. All offer demos, and several offer free trials or can be used free of charge under certain conditions. Since almost all operate on a drag and drop principle, they are easy to use, and the interactive editing features several offer are definitely productivity boosters. If you give one or more a try, we would like to hear your thoughts. While employment in some industry sectors has suffered or stagnated during the past decade, Internet business has thrived. There have been significant increases in online purchases, and Internet advertising has become a $20B industry. As a result, eCommerce companies, website designers and developers, and supporting businesses account for nearly half of the 1.2 million Internet-related jobs created over the past 10 years. Exciting new career paths are opening. At the same time, web design has become more challenging because of an increased focus on user experience (UX) and the need to keep customers happy and coming back for more. As daunting as these challenges can sometimes be, if you have the right tools at your disposal they can be easily overcome. What is the nature of the UX challenge? Most eCommerce websites are designed in accordance with the business objectives of the client, the eventual website owner. The business objectives of the average Internet user also need to be considered by the website’s creator, and by its owner as well. The typical Internet user can at times be a difficult and quirky customer. an attention span of around 8 seconds. The attention span of a goldfish is longer. a need to have rapid access to information, coupled with a diminished ability to analyze that information in depth once itbecomes available. a lack of patience. Page loads exceeding 2 seconds will tax a typical user’s patience. An ever-increasing ability to demand service from anywhere, 24/7. Website designers need to take these idiosyncrasies into account, and the tools they use have to provide solutions to the problems these idiosyncrasies can create. Modern websites need to be designed with flow in mind. We’ve already introduced you to the special discovery of 2015, Monstroid, chosen, so far, by 3,000+ users. It is a gigantic, multipurpose WordPress theme aimed at both professionals and do-it-yourselfers. Monstroid is dubbed the “theme on steroids,” which symbolizes its constant expansion with new features and child themes. Today, we’d like to focus on the latter. First, let’s figure out what a child theme is. In simple terms, it is a theme built with a parent theme called a framework, e.g. Cherry Framework in the case of Monstroid. Framework structuring is an optimal solution for WP themes, as there’s no need to update each of them when updates of the WordPress core are released. Instead, just update the framework itself, and that will suffice. As a matter of fact, Monstroid is a child theme too, but is the most sophisticated one among others available in its package. Let’s recap some of its major features. Here they are. 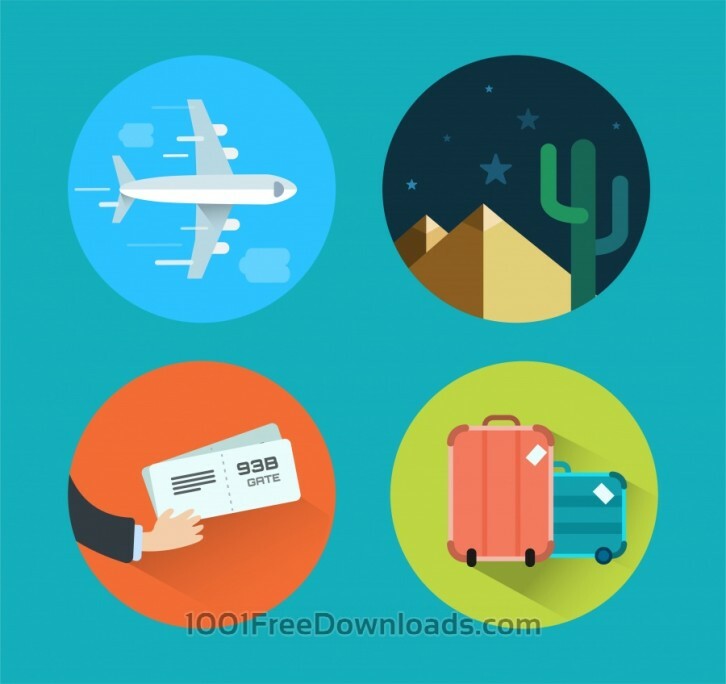 Installation Wizard is a one-of-a-kind tool allowing you to install the full package of this giant theme in a few clicks, without FTP. Innovative Backend Features of Monstroid can optimize your website management and performance. For example, Shortcode Template Editor allows you to create templates for shortcodes and modify their elements. With the help of Static Area Builder, it’s easy to customize header and footer areas by dragging and dropping. CSS Minifier can improve the performance of your site by compressing a few CSS files and grouping them into one. Premium Plugins are integrated into Monstroid to let you extend the functionality of your site without overpaying. For example, MotoSlider enables you to create responsive, multi-layered slideshows with both images and videos. There is also MotoPress Editor for building complex layouts in a drag-and-drop interface. eCommerce Functionality is provided by means of WooCommerce integration. Packed with ready-made store pages, Monstroid provides you with an opportunity to run an e-store out of the box. Determining the best of anything takeseffort, and selecting the 14 best WordPress themes is no exception. We’ve done the hard work for you however, although you still have to find what is best for you is. You really can’t make a wrong choice. We’ve included Multipurpose themes and those best suited for creating eCommerce websites, or dedicated to that purpose. There’s also a premium theme if you have a One Page website in mind, and one specializing in Portfolios. Check them out and see which fits best your project. Topping our list is Enfold. This best-selling ThemeForest WordPress theme has everything you will need to build any type of website, and do so quickly and easily. Its secret lies in the combination of predefinedcontent demos to get you started, and Enfold’s unique and extremely user-friendly drag and drop editor that will keep your project moving at a rapid clip. There’s a host of other features of course, including the Admin Area which makes Enfold a perfect theme for novices, just as it is a perfect theme for professionals. Install the demo of your choice with a single click, and you’re off to the races. You can either build on whatever demo you select, or create your own layout. Better yet, with this flexible theme it’s no problem to choose and combine different elements from different demos. Enfold is WooCommerce ready, and it’s the ideal theme to create an online shop. It is also retina ready and SEO ready, key featuresfor achieving eCommerce success. In the world of premium WordPress themes, BeTheme is living proof that bigger can be better. Bigger is the more than 160 pre-built websites, a majority of which are multipage websites. 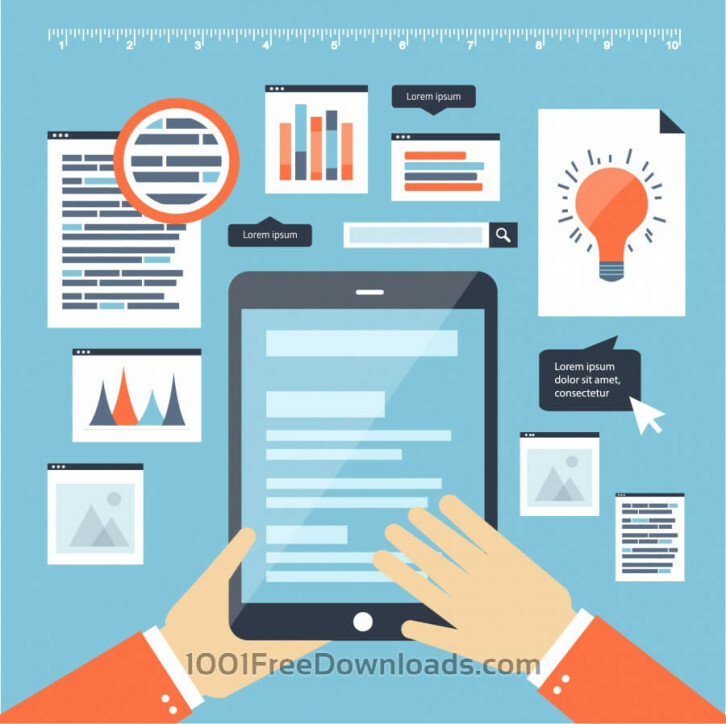 Bigger is the 40 core features that make up a one of the most complete website-building tool kits you will find anywhere. Bigger is the200+ shortcodes, plus a host of other items that make it possible to build a website of any type. Muffin Builder 3 is a premier page building and editing tool that anyone can use. If you are a confirmed Visual Composer user, you can use it instead, or use both. Choose a pre-built website, or if you prefer you can start from scratch. Select your grid, layout, and header configuration and you can still finish a page, and your website, in record time. X Themeis ThemeForest’s fastest growing product, and for a good reason. Version 3.0, with its incorporation of a dozen valuable Themeco plugins, triggered a significant rise in sales. Cornerstone, an innovative, state-of-the-art, frontend page builder was introduced in Version 4, and sales continued to increase. With Cornerstone and X Theme’s selection of shortcodes, you can build web pages in a snap. The use of pre-built websites has many advantages when compared against traditional methods of website creation. Wireframing, outsourcing, and online website building softwareall have their pros and cons, but a pre-built website approachoffers the best of all worlds. Wireframing is a popular design approach. It can however be time consuming. Outsourcing tends to be the most expensive approach; especially so when design changes are necessary. Online website builders vary in quality, and the subscription plans offered are not always cost effective. The use of the pre-built websites method enable a project to get off to a rapid start and be completed more quickly than the other approaches. Website complexity is rarely a problem, and coding is usually unnecessary. The Pre-Built Website approach is generally the most affordable. The advantages of using this method outweigh any disadvantages by a large margin, making this approach a potential game changer. WordPress has become the preferred CMS of millions of users all around the world thanks to its rock solid features and options. In order to gain popularity among users, every business needs to have online presence. Whether small startups, creative agencies, photographers, artists, musicians, sole entrepreneurs or large corporations – every project deserves a powerful web presence. In recent years, the WordPress community has shown a significant growth, providing us with an array of smart options to get our website started hassle-free. 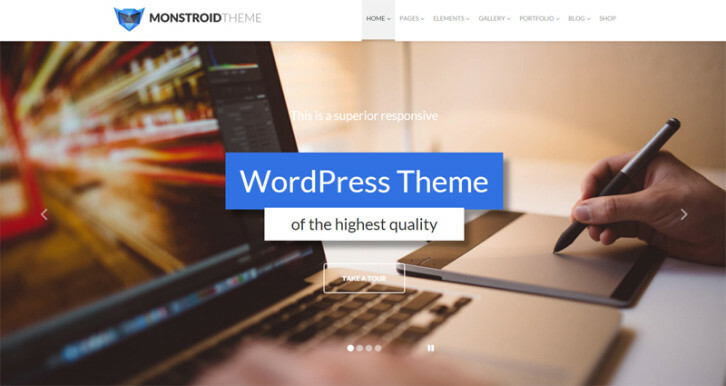 Ready-made WordPress themes, plugins, extensions, design elements, etc. can all be easily accessed on the web via the search engines. As you may have already guessed, in this post we will talk about stunning ready-made WordPress templates that will help you build a fully responsive web project. Both premium and free, all of the designs that we have hand-picked for this compilation were created with valid code and in accordance with the latest web design standards. Why is it important to go responsive? It’s no secret that the majority of modern users have shifted from desktops to handheld devices. The latter are known as a more convenient way of checking out news, reading blogs and simply doing online shopping on the go. That’s why, when someone reaches a website that cannot adjust to the screen size of a smartphone or a tablet, he or she will most probably leave. In order for this not to happen, we offer below, for your consideration, 23 responsive WordPress themes. Monstroid was released by TemplateMonster mid-summer 2015. 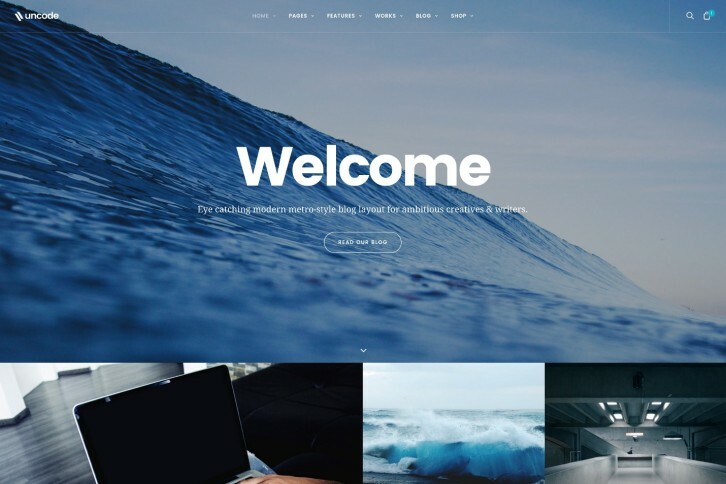 Well-known for its simple and intuitive structure that can be managed by users of all skill levels, this multi-purpose WordPress theme is packed full of all the features that you will need to create a powerful blog, portfolio, business or eCommerce web project. The template is fully responsive, cross-browser compatible, SEO-friendly and WPML ready. 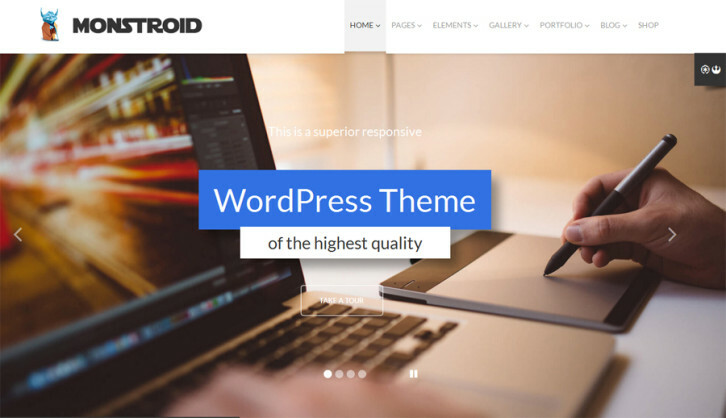 A rich selection of WordPress child themes,with which Monstroid is loaded, is constantly updated with new topics. In addition, the theme includes a number of premium plugins and extensions that its users get for free. MotoPress content editor and MotoSlider are among such stunning add-ons. Free lifetime updates and free 24/7 support is also available. On top of that, Monstroid is powered by Cherry 4, an open source WP theme framework. Please note: For a limited time Monstroid is 30% off. The offer starts on December 14, 2015 and will be running through December 21, 2015. 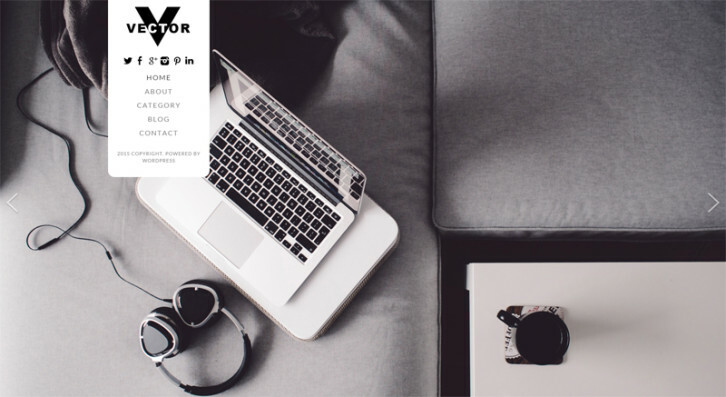 Vector is a responsive WordPress theme that looks spectacular. 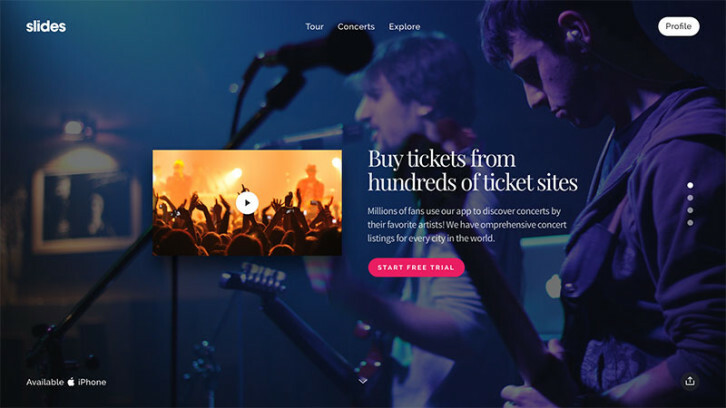 The front page features a full-width slider and a vertically organized main menu. The theme is intended for building web pages of creative agencies, design studios, photographer portfolios or any other business. The same slider remains in the background when a user navigates to Blog, Contact or Category pages. The theme has been optimized to run well on both desktop and mobile devices. Cyber Monday is a time for finding great bargains, but how successful you are largely depends on where you shop. So-called bargains can at times turn out to be not so great after all, but that won’t happen here. These online stores offer only the best web design products and services. Their offerings are backed up by money back guarantees, but it’s virtually certain that you’ll be more than happy with your purchases. Browse the list, visit a few of the websites, and experience a fun and profitable Cyber Monday! XPRS is our first stop. IM Creator is offering their XPRS website building packages at a 50% Cyber Monday discount. You are invited to check them out, but a highly recommended choice is the Commercial Plan. This plan gives you access to every XPRS theme, unlimited hosting, a free domain connection for only $3.98 a month – today only. If you are used to the traditional drag and drop website design approach, you will find the XPRS approach is different. You may also find it is better. With this playful product, you create your website using professionally-designed pre-made stripes, similar to what playing Lego feels like. It doesn’t take any time at all to get used to this new approach, and XPRS has every feature you will need to create an outstanding website. Your package will also contain the eCommerce solution you’ve been looking for. Not part of the Cyber Monday, but a sweet deal nonetheless is their white label solution that comes with unlimited amount of licenses for just $250 per year, plus the ability to totally rebrand their product under your own brand. Web designers are always on the lookout for a premium source of high-quality images. Dreamstime is such a source, and they are offering a 50% package Cyber Monday discount on their stock photo subscription and credit packages. Just sign up for an account, and the discount will automatically be awarded to you. If you need to create a fully responsive website to showcase a product or an idea for a client, or to potential customers, Slides is definitely worth looking into. This flexible, easy-to-use, framework-type builder provides a large selection of customizable slides you can select for your web pages. The editing process is so straightforward that even a website design novice should be able to come up with an impressive presentation website on short notice. Slides can be an excellent choice for anyone who wants to create one or more one-page websites. It is an ideal framework for producing presentations for online viewing and its license permits you to build as many websites you want. Does your Team Use These Productivity Tips and Web Apps? Seven of the best and most popular web apps currently on the market are presented for your consideration. All are designed to streamline team collaboration and communication between team members. Several focus on project management tasks, and several feature web design or prototyping capabilities. We also offer three tips you can use to improve individual and team productivity. As you read on, you’ll notice that these tips dovetail nicely with the capabilities the various web-based apps bring to the table. Since they are web-based, you don’t have to contend with installations, downloads, or updates. Break a Project into Small Tasks – This approach will keep your work organized, and keep you from getting bogged down or losing track of where you are on a project. Small tasks are naturally easier to work. Understanding the interdependencies between smaller tasks will tend to streamline your workflow. Automate what You Can – Repetitive tasks, when done manually, can waste valuable time. The same is true for tasks involving multiple manual operations, and are therefore prone to causing errors. While web design tools automate most of the repetitive design tasks, be on the lookout for the time-saving features project management and collaboration tools offer. Observe and Improve – It’s hard to improve on your performance, or on your productivity, if you spend all of your time in the proverbial closet. Observe what others are doing; especially when they are doing things well. Learn from your own experiences. Make it an objective to do something a little better the next time around. A fourth tip to consider is to choose the best tools for the job at hand, but that is why you are here isn’t it? If you are in need of a design aid, a project management tool, a better way to collaborate, or all of the above, you will find a “best” solution among these seven premier web apps. This popular web app is the online prototyping tool of choice for web designers and design team in over 50 countries. Pidoco does more than offer a variety of design aids. It supports team collaboration activities, and it does so effectively.